On The Breeze: March 2016 Tarotscopes- Welcome Spring! 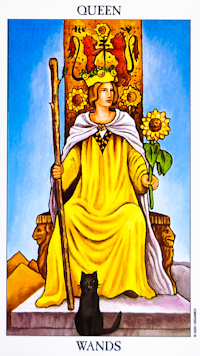 March 2016 Tarotscopes- Welcome Spring! Welcome March! Winter continues to release its hold, and though we may have a last gasp here and there, spring is on its way. If there’s a theme for this month’s Tarotscopes, it would have to be fearlessness. Hunter S. Thompson once said “There is no such thing as paranoia. Your worst fears can come true at any moment.” Well, that’s true. But then again, if you sit there and do nothing, afraid to leave your house, nothing will indeed happen. And you may not be much farther away from your fears. But when we take action, we set the wheels of fate in motion. So this month, let’s look and see what we’re given, and use it fearlessly. Action beats inaction in terms of shaping your destiny, and free will needs to be exercised. So on to the Tarotscopes! Let’s see what this month has in store for you! 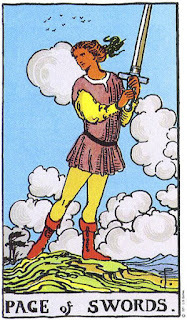 The Ace of Swords promises new directions and new opportunities, and the suit is also significant for you this month. Following up on the previous month’s 7 of Pentacles, we see little change in the material, tangible sense- things are plugging right along and continuing to build, but you may be looking at the first fruits of that change, and with it, inspiration. 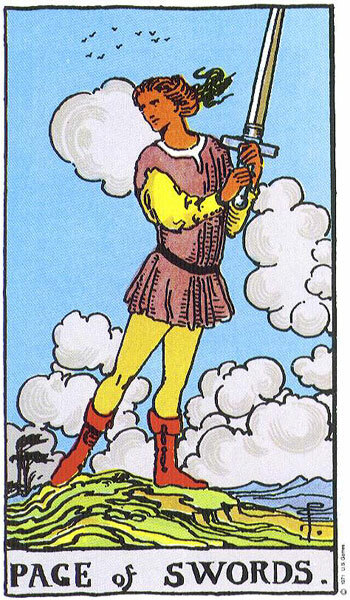 The suit of Swords has a very cognitive, mental and yes, even creative focus. The Ace doesn’t suddenly appear out of whole cloth in your case. Instead, it comes from what has already been set in motion. The question is, can you break out of your routine this month and try a new direction? The Ace really promises little in terms of a safety net or security. If you’re willing to take risks, you may find the rewards are greater than what you had imagined. The time for patience has passed, and now is not a time to hesitate. 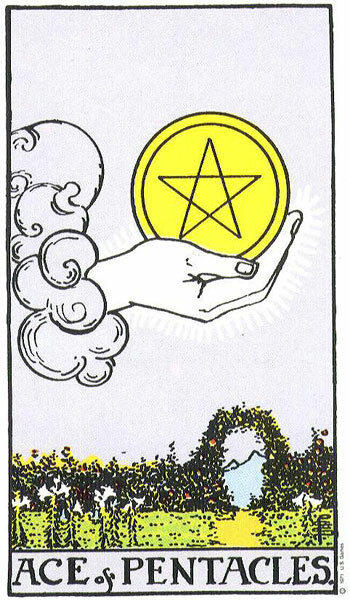 The Ace of Pentacles points to you being handed the “keys to the kingdom” this month, so enjoy the time you have. But this is just an Ace, not a completed product. Now’s the time to fan the flames and get the forge going, as there’s much to be done and much to shape. No longer a need for patience, you’ll find plenty to occupy yourself this month. 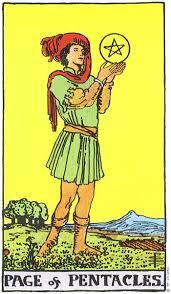 I’m tempted to point to the suit of Pentacles as a slow moving one and slow to change, and that’s true. 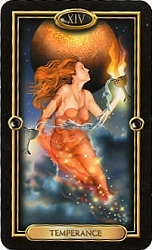 But here we have a good outlet for that fiery Aries energy, and a substantial force like that is more than a match to any inertia you may be encountering. The Ace also has with it a sense of flexibility- you may have the keys to the kingdom, but you can change that kingdom around to suit your needs. You have a great deal available to you this month, but keep in mind that you need to take other people’s feelings and ideas into consideration too. While you are charging bravely forwards and conquering new horizons, adding to this Ace and building it up, keep in mind also that you may want to take advice on how to shape and build. A cord of three strands is not quickly broken, as old King Solomon once said. But overall, this month looks pretty positive for you, and there’s a great deal to look forward to. Well, you’ve gone from a 10 of Swords last month to a 10 of Cups this month, Taurus. 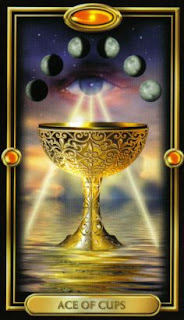 Expect a drastic change of fortunes, and expect also a great many things coming your way. Last month was all about letting go, and now, with the space you’ve cleared, it’s time to expand into that space! And the world around you is only too happy to supply the raw materials for that expansion. You can’t plant a garden without clearing the ground first, and this process of clearing out has been in the works already for you. Now that you’re ready to go, this upcoming month promises an exciting and happy time of discovery and learning. Don’t forget all that you’ve learned and all that’s led you up to this point. The 10 has a focus on interpersonal relationships and support, so continue to look to others, especially your long-term companions, those people who are still with you after all these years. And on a personal level, it looks like you’ve succeeded in clearing out some of the dead wood. 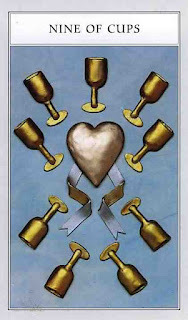 The suit of Cups is a nurturing and expansive one. Be sure to incorporate creativity into your month, and give yourself plenty of creative outlets. You may be surprised, or find a new talent you haven’t had the chance to develop, or have neglected previously. Previously in February, we found the 5 of Pentacles, and now the Tower. Trouble on the horizon for you? Well, it may not be the smoothest-running month, so be prepared for some turmoil. But why are we afraid of the Tower? Here we have a need for fearlessness, and taking a leap of faith. The Tower tells us it’s better to let go and take the plunge than to tire ourselves out holding on in midair. The Tower often makes me think of renovating a house. There are a ton of TV shows where people will refurbish a house, turning it into something new. But before they can begin building their newfangled design, they need to get rid of the old. This has been some time in coming, and March represents a turning point. Don’t be afraid of the Tower, but rather embrace what needs changing. You’ll make it through this, and a part of the reason the Tower is scary is because it represents that root of all fear: the unknown. So what’s the antidote to fear? Not running away, and in fact the more you press forwards this month, the more you’re willing to stand up and chase what you want, the more the Tower’s potentially destructive energy can be turned into productive channels. Destruction is simply the phase that precedes creation, and besides, the Tower represents that same idea of renovation. You can certainly make this work for you this month, so focus on the positive, and don’t worry about what’s fading away. What’s left is really the interesting part for you this month! You seem to be moving in a cycle: from stability and a comfortable spot to change and imbalance. 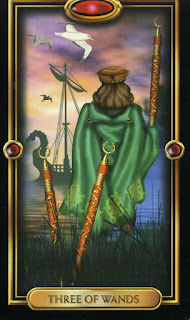 The 5 of Wands that we saw in January is back again in March, with the Magician in between. 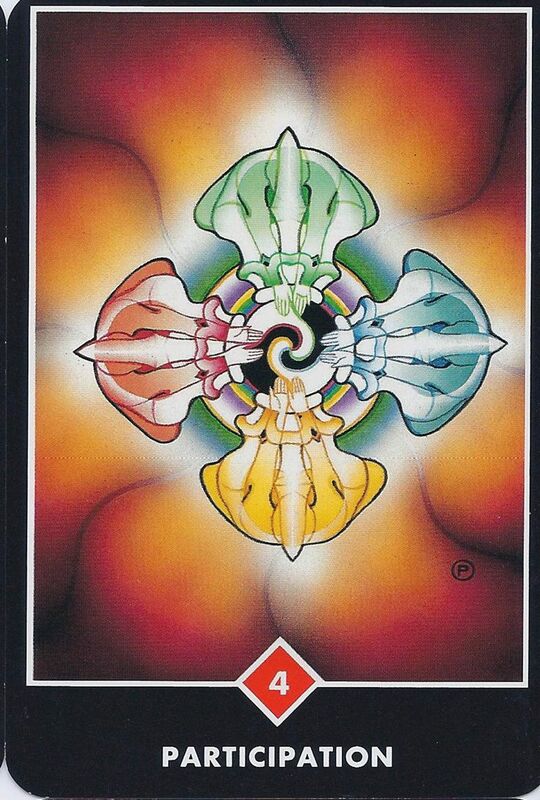 So you’re certainly continuing an upward trend this month, and the 5 of Wands can lead to victory, as we’ve seen in the previous months. It’s another point of change for you, but very much not the same pattern. You’re moving up, and being faced with a new set of challenges and with them, opportunities. This 5 gives a sense of sparring and arguing for the sake of arguing, not any serious or worrisome challenges. Having attained a good position with the Magician, it’s time to take things to the next level. Focus on building yourself up and on continuing to develop your strengths. A famous golf teacher was known to advise his students to play their strengths and practice their weaknesses. Whether or not you play golf, the idea this month is the same. You’re building up and making steady progress, and this month you’re not facing anything you can’t handle. So once again, it’s time to be fearless. You don’t need to worry about falling on your face, or undoing what you’ve done already, as your foundation is secure. However, you can continue to build and continue to develop, making yourself better than you were before, making yourself better, stronger, faster. And so it continues for you on into March, Gemini! The previous month held the Knight of Pentacles, and here we see that duality that marks your sign reflected in the High Priestess. You may be looking at some challenges this month, and you may be called to rethink and re-examine your ideas and assumptions. The High Priestess does promise new insight and learning this month, and there’s a strong focus on personal development. But that personal development may go in different directions and take on new aspects that you hadn’t foreseen or planned on. 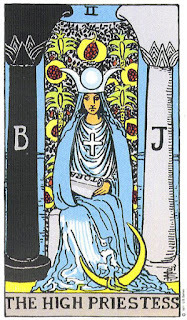 But never fear, the High Priestess is not there to harm you, but rather to instruct you. This month is a good time to focus on yourself and your own development. Try to take things slow this month, and take time to understand what’s going on in your life. You may have to admit that there are things you don’t know, but this is the first step towards new learning, and that new learning will be of great help as your journey through the year continues. This month will bring new revelations, not all of which may be the most prosaic. 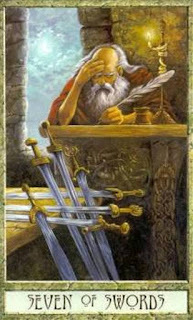 The 7 of Swords is about uncovering and finding out. If someone (and that someone could be you) is undermining you or working against you, or you’re working against yourself, this will be the month to find that out. But don’t despair, you’re far from powerless in this whole situation. The forces arrayed against you rely on deception and concealment- once they’re out in the open, you can deal with them. So whereas your previous month was a time to deliberate and decide, now is the time to look and see what that deliberation has uncovered, and deal with it most severely, if needed. Ignore any gossip or wagging tongues- you can’t control what other people say, and your actions speak a lot louder than their words. Remember that though you might find this process a little uncomfortable here and there, ultimately it’s better to know than to remain in the dark. Keep in mind you still have a good deal of momentum from the previous months as well, so don’t be too focused on the negative. Don’t lose your happy thoughts, and things ultimately will move towards a balance for you this month. It looks like a break in the battle for you this month, and you can expect a little relief. Don’t hesitate to ask for help when you need it, and especially where you feel overwhelmed, frustrated or just plain stumped. This month is a time to stick to your guns too, and keep pressing on. The advantage is definitely yours this month. The 9 is, in many ways, a stable card, and represents all you’ve worked on and built up this year. It’s a time to come in from the cold, get warm, and relax for a few before you go back into the fray. But at the same time, remember also that the fight is not yet over, and victory is close at hand for you. Look for other people close to you for support and assistance where you need it. There’s a tendency lately to want to do everything on your own. While that independent streak is certainly commendable, don’t let it turn into stubbornness and wearing yourself out. The challenges you face are not meant to be handled all on your own- other people are standing by and resources are there for the asking. Don’t let that pride cause you to fall, not from lack of sight but rather from exhaustion. Keep your stress in hand, and put aside the petty concerns about who said what to whom. You have a greater design and purpose at work, and that’s what to focus on and make use of this month. 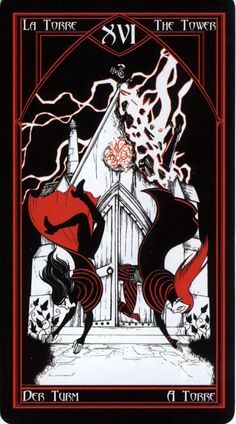 A Major Arcana in your sign means the winds of change are blowing this month, and it’s coming around as a result of your hard work and dedication. 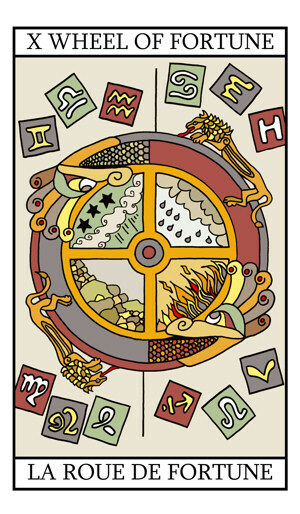 The Wheel of Fortune tells of positive changes, and changes in your situation. 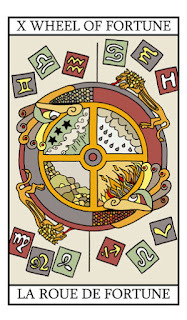 The Wheel is one of those cards that tells of being handed the pieces, and being left to your own devices to put them together. You’re in a good position, and the Wheel is basically a favorable card. A great deal of momentum is coming from you and what you’ve set in motion. Now’s the time to shoot the curl and stay right up front, which, incidentally, is where all the excitement is. The world around you seems highly responsive to your enthusiasm and energy this month, and will prove an ally. There’s a chance that you may get too used to things going your way, so keep an eye on this. You’ll need to keep a level head, and the Wheel of Fortune is a card of action and reaction, cause and effect. Keep an eye on this, and make sure the causes you are creating are what you want to do. That way, when the Wheel turns yet again, you’ll be able to reap the benefits in much the same way as you’ll be doing this month. A Major Arcana card for you as well this month, as Temperance evens things out for you. Temperance is a union of seeming opposites in a new and different harmony, and it’s a good time to take the different aspects of your life and throw them into the cauldron, so to speak, and mix it all up. Expect reconciliations and new friendships this month, and changes in your own outlook. You’ll be able to see different aspects of a situation, and may be called on for your expertise by others. Give advice freely this month, and see how you too are changed and renewed. This is a time to bring it all together, and your friends and allies are close by. The focus for this month is symbiosis; working for the benefit of all, and no one left holding the short end of the stick. This month is one of prosperity, putting the previous month’s Page of Pentacles into more practical and manageable terms. You won’t be going it alone, and what you have on hand will definitely help you in the long run. Be sure to make use of everything around you, as Temperance tells us that you have no excess or lack; you have all that you need, it’s just a question of how it all fits together. A voice from your past could provide insight to the future, so if there’s someone you’ve been debating getting in touch with, now’s the time to do it. You might be surprised at the result! Time to relax this month, as the 9 of Pentacles promises short-term success for you. It’s a pretty easy month for you, and the work you’ve done so far has set you up for success. Luck seems to be appearing around you this month, so don’t ignore coincidence and omens. 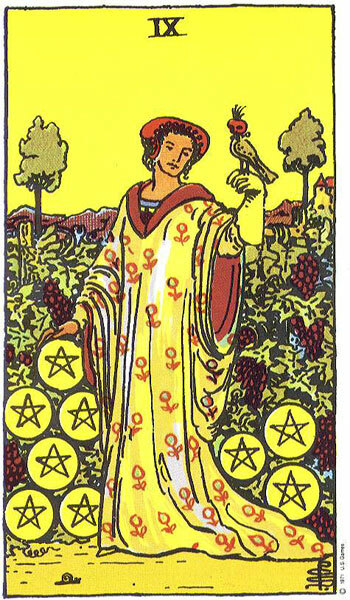 Seeing the suit of Pentacles over in Cancer is often an indication of creative success, and this is no exception. You’ll have plenty of opportunity for artistic and creative expression, and making this your focus in the month ahead can provide diverse benefits for you, not to mention the sense of satisfaction in this card. It’s not a month to rush ahead, but rather to relax and see what the spring will bring for you. What have you been up to these past few months? It’s time to take it to the next level, and you’ll receive plenty of encouragement from those around you, as well as your own motivation, which remains high this month. It seems unlikely you’re content to rest on your laurels, but you need to calm down once in a while and see what direction the world is giving you. Listen to others, and you’ll find that you can expand your horizons quite a bit. It’s interesting to see the Knight of Wands here taking on something of the role of a leader. The Knight points to certainty, conviction and charisma, which, as a Leo, you often revel in. The focus is not on status and getting noticed, but rather on you yourself. The Knights are transitive, moving figures, convinced of their own strength and ready to meet any obstacle. 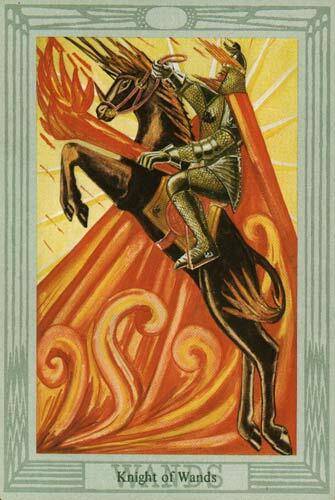 Don Quixote would have definitely fit into the Knight of Wands role, and although reality may not quite have been what he thought it was, to the victor go the spoils this month. Unlike Don Quixote, you’re pretty much in touch with the world around you, and your task this month is to press forwards. Circumstances are neither helpful nor hindering this month, but do get out of the way and let you do your thing- this month is one of an internal focus, so look to your own internal compass to show you the direction you should take. It’s not an end point for you, as the Knight has a quest and goal that aren’t yet realized, but you should have little trouble finding that and sticking to it. By the end of this month you may be feeling a little run down, but you’ll be in a better position, and closer to your goals. 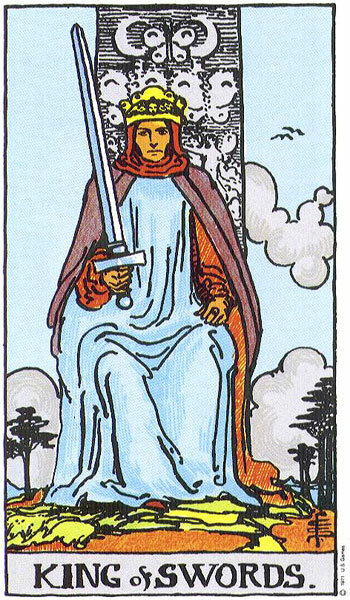 The Queen of Swords is not a passive figure, and does not simply sit back and let things happen, but very much works with them to accomplish her goals. Are you finding it difficult to work with other people? Now’s not the time for stubbornness but rather communication. You may find others are resentful of you and what you’ve accomplished so far. In some cases your best bet is simply to ignore them; haters, as the saying goes, are gonna hate. But don’t fight fire with fire here, but rather with understanding. 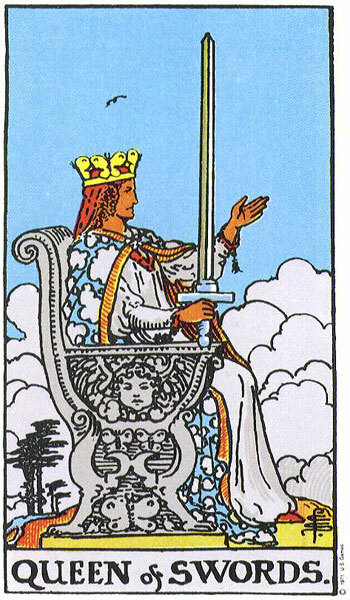 Your Queen of Swords this month is an indication of stability and success, but at the same time you need to be approachable and be receptive to criticism. 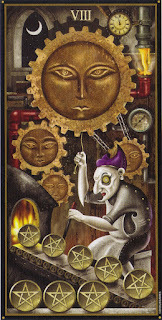 The previous month’s 9 of Pentacles brought a great deal of success with it, but now’s not the time for vanity. 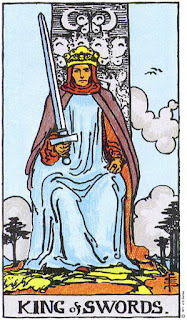 The Queen of Swords is an intelligent figure, and can be a cold, manipulative one. But this is not the role you should be taking- instead, lead with a gentle but thorough manner. Make it clear that nonsense will not be tolerated, and show why you’re in the position you are. Expect the unfamiliar and unexpected this month, and it may be making you nervous or insecure. Feeling insecure or uncertain can cause you to over-react this month, but there is a simple answer to insecurity. 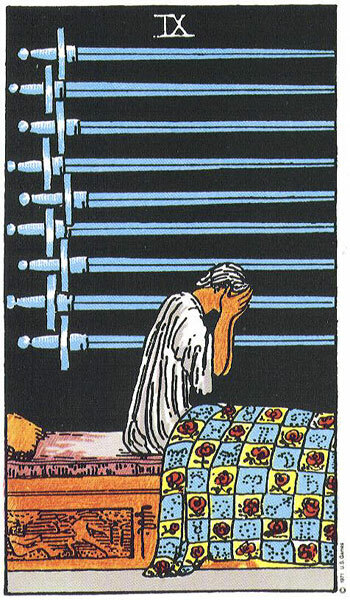 You’ll find it in the suit of Swords, which often is paired with doubt and uncertainty, and the 8 of Swords is certainly a card of uncertainty. 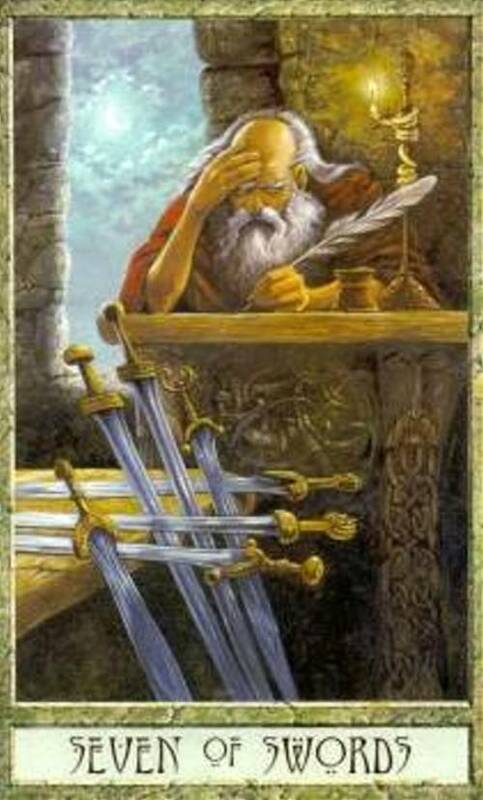 But Swords also have with them the message of understanding, cutting away illusion and uncertainty and leaving only the truth. Take an objective viewpoint, and things might not seem as bad as they look. You’ll need to put aside your certainty this month and take a long hard look at yourself. This usually means something you might not like to see, but while there may be a little ego bruising going on, the rewards are much greater, and you’ll soon be back in the driver’s seat of your life. It’s a time of learning and developing your understanding, so don’t let your own need to be right stand in the way of that. If you can be flexible and willing to accept instruction and yes, even criticism, you’ll be the better for it this month. 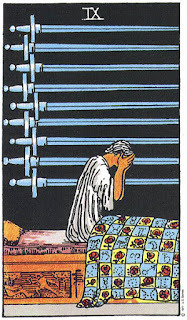 There’s a lot less to worry about in the 8 of Swords than it may at first seem, and the difficulty Leos can encounter is breaking out of their own assumptions and viewpoints where the world around them is concerned. Opportunity comes knocking this month for you. Does it seem too good to be true? If you’re thinking everything suddenly falls into place, well, then you’re right. 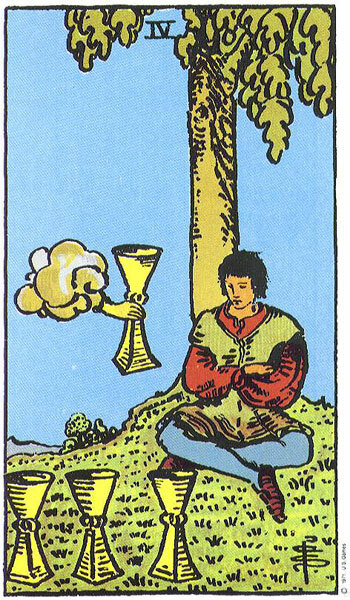 The Ace of Cups promises happiness and good fortune, but it’s still an Ace. Not to worry, however. You’ve been brought to this place for a reason, and you won’t be disappointed. Perhaps you may have seen Monty Python and the Holy Grail, and remember the scene in which Lancelot is convinced he sees the Holy Grail floating above a castle. It turns out to be something completely different, but this month you won’t be experiencing the same disappointment. The Ace means new opportunities for you combined with a healthy dose of good fortune and prosperity. Things are looking up for you this month, but may still be a little rough around the edges. Aces represent starting points, not conclusions. So don’t spend too much time enjoying your good fortune; don’t get complacent. You can turn this Ace into something great this month with a little elbow grease! Skepticism has its place for you and probably always will. But don’t let that hold you back, as the Ace also encourages you to embrace creativity this month. Following up on the previous month’s High Priestess, you’re met with the first fork in the road. 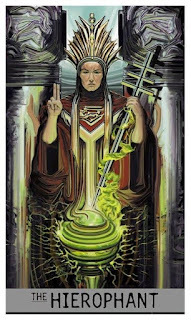 The sense of duality we saw in the High Priestess’ pillars last month now comes to the forefront. Relationships and communication are highlighted, and you’ll be faced with decisions and choices that may have long lasting consequences this month. The people in your life are there to help you out, and the decisions you make are not ones that you need to make alone. Trust is sometimes difficult to come by, but those people that remain by your side are those whom you can trust, and this month may require you to do just that. As time goes on, you’ll find a deeper emotional satisfaction from these same decisions you make, and things will smooth out as the month progresses. You’re on a great journey, and this is but one more turn in the road for you. It requires commitment and dedication, but in the end what you take away is worth it. 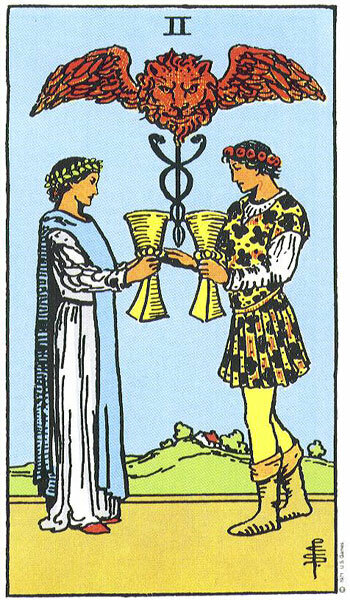 Think of the 2 of Cups as a joining together- all for one, and one for all. You’ll be challenged this month, but challenges are meant to be faced. And besides, the possibilities are becoming endless. The previous month’s changes are turning into something great! No need to fear the Death card (Don’t fear the Reaper? ), as it promises change and new growth. 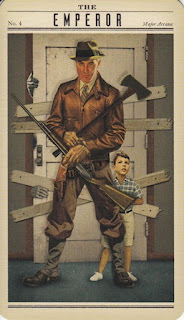 What strikes me about this card and where it comes up is that here it represents something a long time in the making. A good symbol for Death would be a butterfly, and a caterpillar doesn’t turn into a butterfly overnight. It takes time, and what we see this month is the culmination of a great many factors. Well, it is the time of spring, and with spring comes new growth and rebirth. Death is an ending in some senses, but what falls away this month is replaced with new growth and new developments. Nothing is left empty for you this month- nature abhors a vacuum, and you’ll find that Death represents not so much a loss as it does a renewal and restructuring. 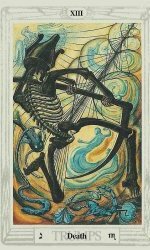 You may want to take some time to reflect and regroup this month, as Death is not a card of drastic, painful change but rather a gradual process. Your understanding and patience this month can reveal new depths and new facets to the whole thing, and put you on the path to greater glories. Receptiveness and openness are your watchwords this month. 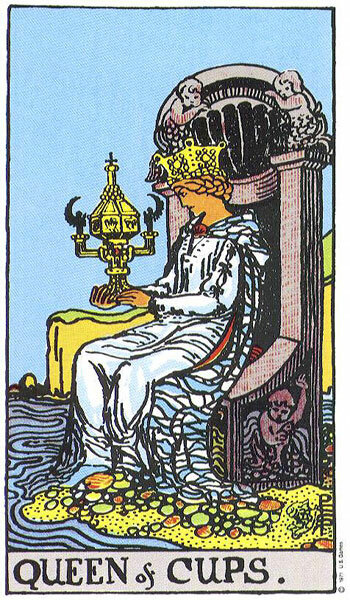 A potential down side to the Queen of Cups is the desire to withdraw, to just crack open a good book and let March take care of itself. Call me when the sun is up, the snow is melted and the flowers are in bloom, you may be tempted to say. 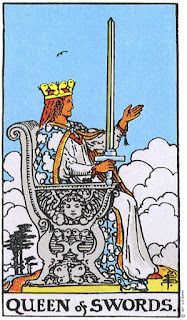 But the Queen is also a supporting figure, and perhaps the previous month’s 8 of Swords has helped you gain some insight. Look to other people, as the suit of Cups has a focus on relationships and emotional ties. Your Libran idealism is taking on different tones this month, and that’s not a bad thing at all! As the spring approaches, you may want to make some resolutions that will carry on into the summer months. 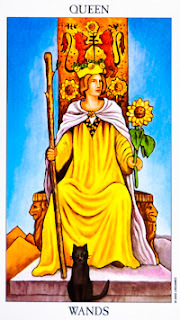 The deep-flowing support the Queen enjoys will be with you this month, so make it a month of self-improvement. Things are looking up, and more than that, paying off this month. The previous month held a transitive, uncertain 2 of Pentacles, and this month brings us the King. You’re looking at a prosperous month, though you should continue to make plans for the future. The old fable of the grasshopper and the ant comes to mind- you don’t need to be all work and no play this spring, and in fact getting out and seeing the return of the sun will be good for you- but plans you’ve set in motion, commitments you’ve made and designs you have are still there, and should not be forgotten. Oddly, the King represents something of a transitive figure as well, as here you’ll find yourself able to prepare for the future, to store up resources for another push forwards on the professional front. If you’re angling for new employment or a promotion, dress for success this month. The image you project will greatly influence how things turn out for you, mainly because you have the ways and means to back it up. 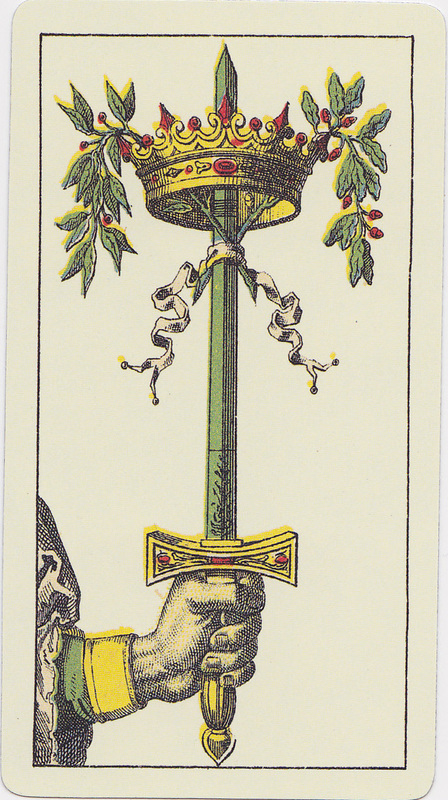 The same card crops up for you as it did the previous month- the Page of Swords. Does this mean nothing much going on for you? Far from it. The dynamic and flexible Page of Swords gives you an opportunity to find new directions and learn new things this month. The Page is often equated with a busy little kid, always taking things apart to see how they work, asking questions and generally bugging the grownups. This month, bug those grownups as much as you want. Be inquisitive, search for answers and look for new areas of learning. Though things may be quiet for you, the Page tells us that you should take advantage of that and increase learning and skill. As time goes on, you’ll benefit from having more learning, as you’re able to parlay this into practical terms rather than merely academic. Previously we saw the Justice card come up for you, and this month that “tipping of the balance” is making itself manifest in practical terms. You’re not so much starting anew as you are moving on and building up. Look to your previously established skills, any feathers in your cap, and all that you’ve done so far to pave the way and open doors for you. The practical bent of the suit of Pentacles can smooth out some of the emotional highs and lows you may be feeling, and overall it’s a month of smooth progress and growth for you, professionally and personally. You may feel tempted to abandon projects or to start new ones, but this month requires discipline and stick-to-it-iveness on your part. Avoiding the dramatic and avoiding excitement is the path for you this month. Sure, it may not be as glamorous, but the focus needs to be a practical and thorough one rather than “firing for effect”. Make your shots count, and you’ll be recognized for it in time, as well as enjoying the rewards that come with a job well done. Notice the fact that the King is sitting on a throne. Despite an airy nature, the foundation is there. Try and find a balance between these seeming opposites this month. The King is an idealist, and may be impractical. But at the same time, he remains firmly grounded. Your challenge this month is to bring these two seeming opposites together and to take that idealism and make something of it. Let it be your guide, and at the same time don’t hesitate to get your hands dirty. The King can be a manipulative figure- the question is, how do you want to use that manipulation? Overall, spring is a positive time for you. But don’t go toying with other people, there are more practical uses for your time and energy. You may want to turn that analytical, cunning nature inside to yourself as well. 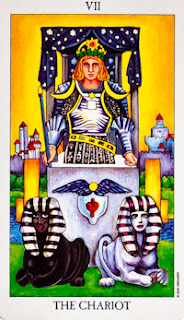 It’s a good time to use the energy of this King as a mediator, both inside yourself and outside. Either way, you will be called upon to balance out your environment and yourself this month, and doing so will bring about some needed changes. More Pentacles for you this month, and this time it looks like you’re in the driver’s seat. 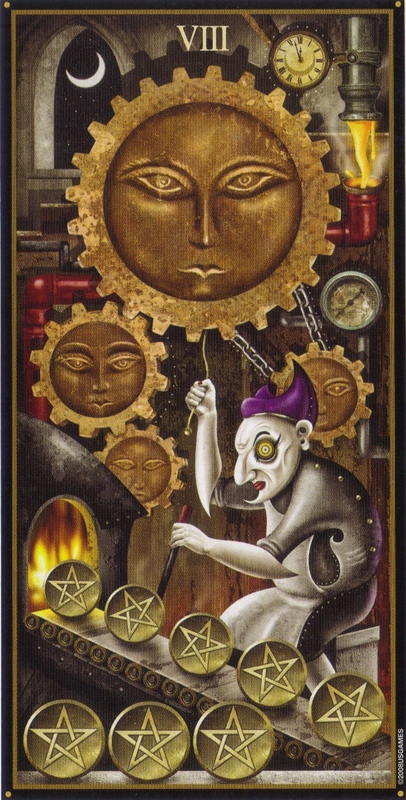 The Page of Pentacles shifts the focus from the previous month’s 4 of Pentacles squarely to you. Your observant nature will serve you well this month, and is well matched with a Page with a strong Earth focus, such as we find here. Don’t worry about standing out, though you may need to. The Pages have a strong “look at me” streak sometimes, but the reason that streak is there is for purposes of understanding and learning. Often avoiding the limelight, you may need to take that spot this month to further your own ends. You can’t be too forward with other people, and can’t be too forward in what you want. Live and let live is often your philosophy, and one that generally does serve you well. However, this month you’ll need to be a bit more aggressive. Someone needs to step up and take command this month. Don’t be too worried about lack of experience- the best way to learn this month is on the job. You have a safety net in place, so don’t let a fear of falling hold you back. It’s a month to learn by doing, and learn by experimentation. Have fun, and at the same time pile up knowledge, as this will serve you well in the weeks and months to come. The Queen of Wands represents a confident, charismatic figure- a natural leader, but one with an ear to the changing winds around her. (Or him, for that matter.) You’ll find yourself very much in touch with your intuition and the energies around you, both your own and that of others. It’s time to use what you know and help other people. Much like the previous month’s King of Cups, the interplay between yourself and others is at the forefront of your reading, and that interplay is a win-win scenario. Can you find the balance between leadership and understanding others? 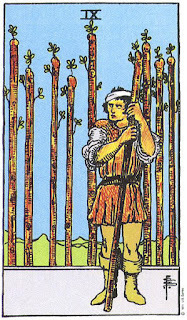 The suit of Wands is often a forceful one, indicating strong and certain decisions and oodles of confidence. But at the same time, the Queen is a creature of Water- sensitive, intuitive and highly observant. You can and should put yourself out there, but at the same time be sensitive to the needs of other people. As before, you’re not going this alone, and working with other people will help you as well. But keep in mind, the Queen is also a very charismatic figure, perhaps with a flair for the theatrical, so make your voice heard this month! Generally of a peaceful enough cast, you may find yourself restless this month, and find that peace disturbed as the 4 of Cups comes up for you this month. You’ve gained insight and understanding, but this month you may find you just can’t get comfortable, like tossing and turning when you can’t sleep. First you’re too hot, then you’re too cold, then the pillows are wrong, and so on and so forth. 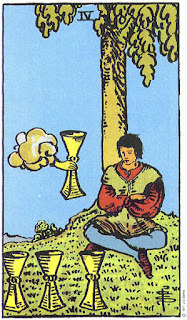 But at the same time, a solution presents itself in the suit of Cups. That same peacefulness you have enjoyed in the past now may lead you in new directions. So this restlessness is not simple discontent, but actually is there for a reason, and actually is leading you somewhere. The trick is to distill out direction and guidance from your discontent and restlessness- what’s actually leading you somewhere, and what’s just making you frustrated? If you find yourself running in circles, or tossing and turning, perhaps it’s time to get up and do something else for a while until you feel a little more ready to return to the task at hand. Don’t let that frustration get the best of you- sometimes you need to get your mind right before you can make use of it. Is the Hermit a lonely figure? The previous month brought you the 8 of Cups, and here we see further isolation- perhaps. But the Hermit isn’t necessarily lonely, but rather a focused one. The term “woodshedding” comes to mind- going off on your own, finding a quiet place, and practicing what you want to learn. The term was, as far as I know, originally used by musicians, who would go out to the woodshed and practice, focusing on their instrument and developing a virtuosity with it. The Ten Oxherding Pictures that Zen Buddhism students may have encountered tell a similar story, with the figure of a Hermit going off to chase an ox, symbolizing the mind. Finally, the Hermit-oxherd figure returns to the world, wiser and more experienced. This month is all about you, and all about learning. 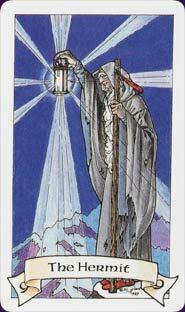 The Hermit gains wisdom and insight, undistracted by other people and the world around him, and ultimately returns to the world to share that wisdom. This month, follow your own path wherever it may lead. You can take an almost passive approach- see where things go, but remember, no one but you can take the steps. 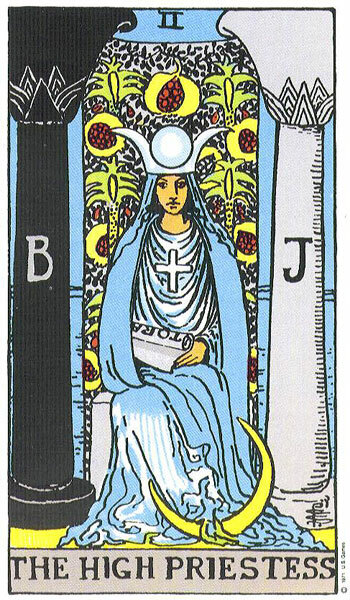 Each of the four Tarot suits has a corresponding element. But sometimes those elements can manifest in funny ways. 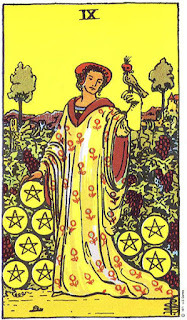 You’d think usually the suit of Pentacles, which you saw last month, relates to strictly material, practical matters. 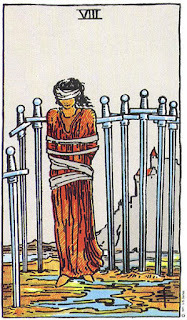 Yet at the same time, this suit has led you to a vantage point with the 9 of Swords. 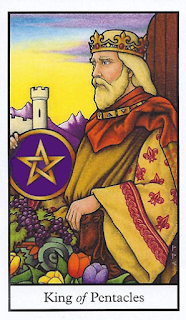 You’re better able to see where you need to apply those material resources from the suit of Pentacles. The 9 of Swords can be a card of worry and disappointment, but your own path takes on a different spin for this card. The 9 can also be a card of sudden, drastic revelations. Why is this person sitting up in the middle of the night? Because sometimes we have a moment of insight, and when that happens, things become clear. Look for that revelation this month, and with it, new directions for career and life. Expect insight, and don’t be afraid of it, it won’t bite, at least not too hard. You already have the ways and means to respond to an insight about yourself, so don’t be afraid of it. Confidence and certainty is called for. Though you may find something out about yourself that might dent your ego a little, it’s not too bad, and there is a definite and greater up side to it. 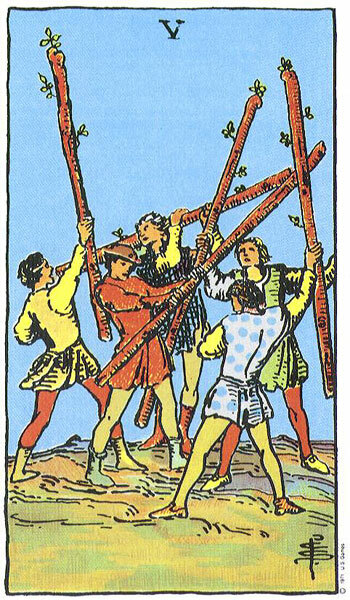 The 3 of Wands represents a decision to be made. 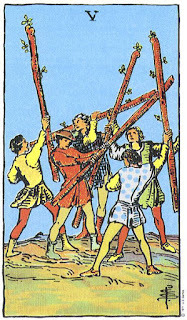 The 3 of Wands represents a shift in the balance of things- the 3s are cards of tipping the balance, moving beyond the status quo of the 2s. 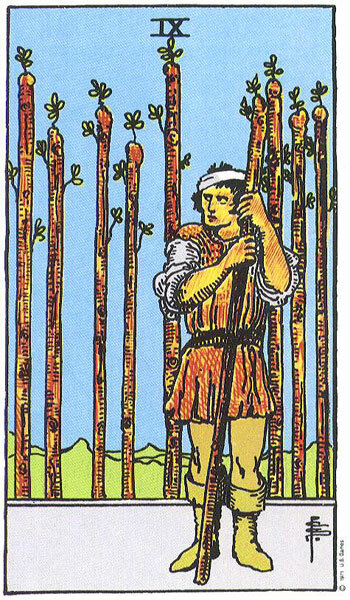 The 3 of Wands in particular represents a deliberate, calculated action of will, in accordance with a purpose or design. 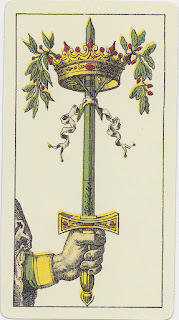 Think of the Wands here as being like a scepter; a sign of dominion and authority. You’re ready to set things in motion this month, so don’t be afraid to take action. The previous month’s Empress doesn’t abandon you, and you’ll be able to move forwards with certainty and confidence- the universe has got your back this month, and your purpose remains solid and true. However, keep in mind that the 3 is not an end point, and time continues to march on for you. Keep it in balance, and don’t let the Wands’ fiery energy cause you to run yourself into the ground. Work for sustainable, reachable goals, and most of all don’t be impatient. Rome wasn’t built in a day, but didn’t fall in a day either. You can certainly chase that dream this month, but at the same time you should keep an eye to your own health and your own finances- the Empress can supply the power, but it’s up to you to be smart and careful. 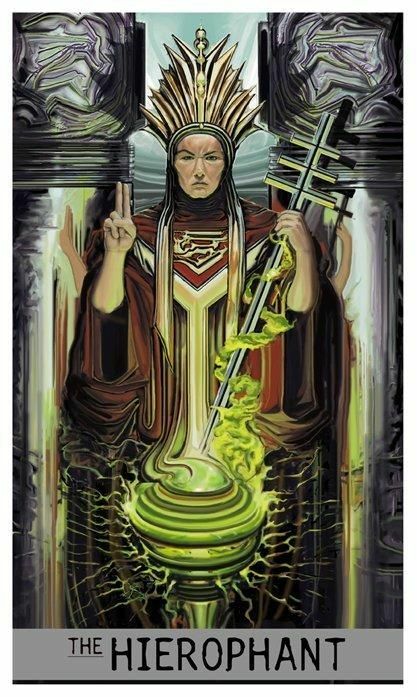 Traditionally, the Hierophant is a figure of traditional wisdom and at worst, a hide-bound traditionalist with no patience for newfangled ideas. The old ways are the only ways- but sometimes, and at his best, the Hierophant tells us to look to the past. Examine history, especially your own, for direction this month. You may find your personal history repeating itself this month, and that calls for careful examination. If you’re happy where you are in regards to this area of life, what worked for you in similar situations? If that particular memory still leaves a bitter taste in your mouth, what didn’t work? The Hierophant bears with him also a sense of tying up loose ends, so expect your past to come back- not to haunt you or torment you, but rather perhaps in a sense of A Christmas Carol’s Jacob Marley- not to haunt, but rather to instruct and warn. Had old Scrooge listened to Marley instead of simply dismissing him, things might well have been a good deal easier for him. So don’t be afraid of the messages you receive this month, and don’t be over-confident. Likewise, old relationships and lasting friendships are prominent this month, and a reunion or return to a past area of life could be in your cards this month! The previous month was all about trimming the dead wood, and this month it seems the dead wood has moved aside for a lot of positive changes! 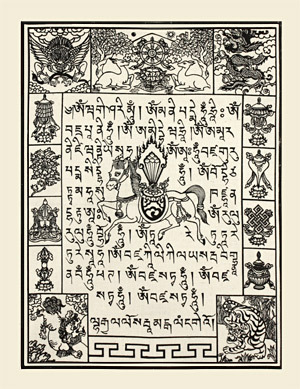 Any difficulties from the previous month as well as any headaches are passing away as your attention is drawn towards good fortune and happiness. 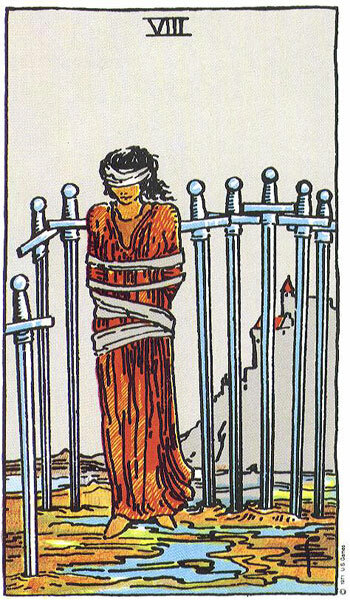 The 9 of Cups indicates good fortune that you seemingly stumble into, but this is not sheer dumb luck. You can’t see every outcome, and every possible permutation of what you set in motion. Expect things to come swinging back the other way this month, perhaps in some way you have forgotten about, or previously dismissed. Nonetheless, expect an upturn this month, and look forwards to a fairly relaxing month. Enjoy the increasingly warm weather, as the closer to the spring we get, the more energy and optimism you can expect to find in your own life. However, the 9 is a way point, and you can expect further changes. However it seems you’re in a good position to take advantage of this month and use that for further advancement. Following up on the previous months, expect things to come together in a drastic fashion this month. 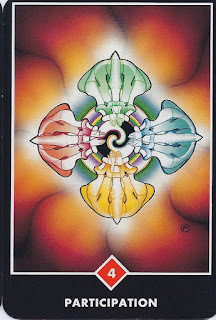 Previously we’ve seen Wands-driven movement, and now things shift into a higher gear with the Judgment card. Judgment represents a calling, a rallying cry, not to retreat but rather to re-focus your direction and attack. 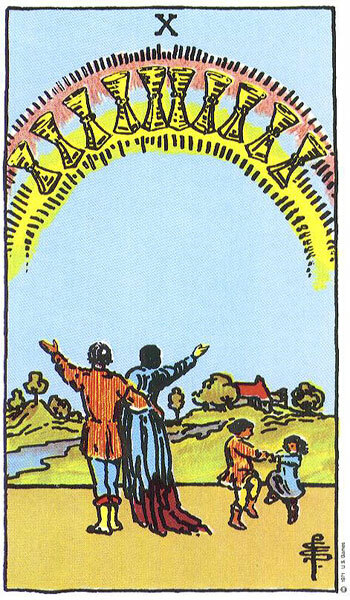 It seems like a restless year, and it’s important to fully understand the implications of the Judgment card; where it’s leading you, what it offers you and what it promises you. Looking forwards to the spring and summer months, it’s a good time to really hash out the details and figure out exactly where you want to be in the coming months, and what you need to do to realize goals. There’s a note of caution in this card as well- don’t let enthusiasm take the place of planning and thinking things through. 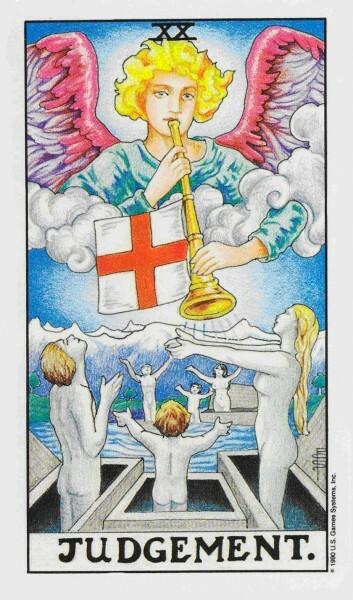 Despite being a rallying call, the Judgment card calls for you to slow down this month. You can see the far horizon, but that doesn’t mean go charging off towards it. Plan your journey this month, and let that enthusiasm grow into something practical and planned out, and in time reap these rewards. 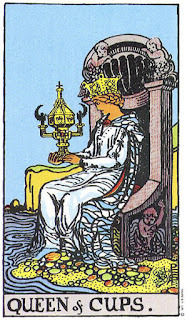 Another Major Arcana card for you this month, and this one points to ruling your new empire. Last month addressed bringing things together and tying up loose ends, and this month brings us the dominating, thorough and effective Emperor. The Emperor is somewhat open-ended; what do you want to accomplish this month? Now’s the time to set the whole works in motion. But at the same time, the Emperor doesn’t rule in a vacuum, and an effective leader is able to take advice. The decisions are definitely yours, but what have the previous months taught you, and what have you learned about your own strengths and weaknesses? The focus, internal or external, is very much your call this month, but don’t let the Emperor become a figure of imbalance. There’s valuable advice and direction available this month from other people, as well as your own experiences. Don’t neglect to listen to that advice, and don’t be too proud to ask for advice when you need it. No one will do the work for you, and no one will likewise take the credit, but know when you’re up against a problem someone else may be able to help with. 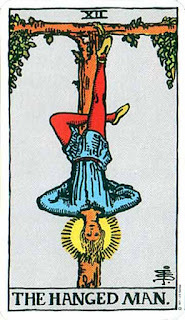 The Hanged Man is a figure who has been through a great deal, but the focus is not on his difficulties and hardships, but rather what new ideas and new perspectives can be gained from it. Innovation and creativity are running through you this month, so don’t hesitate to bring a fresh perspective to the table. Does it sound like a crazy idea? Share it with other people. A part of the Hanged Man inspires respect. We may not have gone through all that the Hanged Man has gone through, but we can appreciate his position and wisdom, and even if he has an off-the-wall idea, it deserves consideration. Don’t worry about sounding like you don’t know what you’re talking about, as long as you speak from the heart; say what you mean and mean what you say. The time for difficulties and deliberation have passed, and you’re in a good position to make a name for yourself. 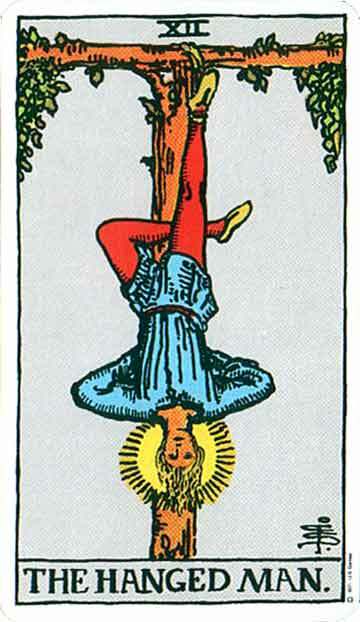 The Hanged Man indicates here that troubles are passing, and leaving behind a new understanding. If you’ve found yourself tripped up in the past, not to worry, as now the focus is on what you’ve learned and how you’ve changed from that. You’ll find yourself inspiring respect this month, and find that people will listen to you- your contributions can be very valuable this month on the creative, artistic and professional fronts. 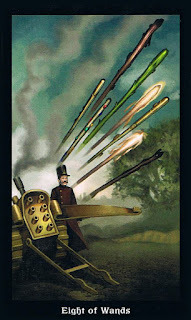 Curiously we see the same card coming up for you this month, the 8 of Wands, as last month. Last month this 8 gave you direction, and perhaps you had a taste of the driver’s seat in your life. Now, as another month approaches with the same energy, that role is amplified. You’re gaining speed and gaining momentum, and here the 8 takes on a warning tone as well- too much of a good thing can lead you to trouble. It’s something of a mixed blessing for you this month, as you may find yourself getting swept along, feeling like you’re losing control. Don’t let this lead you into any rash actions or any knee-jerk reflexive responses. The time has come to really step up and take command of a lot of powerful energy at your disposal, and you should approach it fearlessly and with a firm hand. You don’t need to be swept away by a rising tide, but respecting and understanding what’s going on will help you make the most of this continued state of high energy. The smallest of actions seems to have a huge impact this month, but not to worry, you can guide this energy into the channels you want. Be firm, be assertive, even be aggressive and you’ll find the mighty forces bend to your will. This month’s 4 of Wands follows up on the previous month’s 6 of Cups, with a different area of influence. This month, things continue to come together, and with the focus on the suit of Wands, it’s time to make some more concrete efforts towards the goal you want. 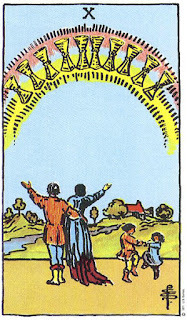 The 4 of Wands indicates a well-built foundation, and the 6 of Cups indicates a good position for relationships. Don’t expect too much new this month, but rather a continuation and strengthening of things that have already made themselves clear in your life. The shift in suits tells of a change in approach, as now you’ll be working towards definite goals. A helpful task this month is to set attainable goals for yourself, and be sure to include a time frame with them, both to set yourself deadlines and to provide a measure of how things are working out. What you do this month, and the actions you take, will have longer-term repercussions, and many of them will help you in unexpected ways down the line. That’s all for March, folks! I hope wherever you are, you’re enjoying the change of seasons that this month brings us. Spring here in the northeastern States is traditionally a time of bright colors, fading snow and new growth, the first sprouting plants lending a touch of green to everything, and bringing a promise of warm months and bright sunshine. Keep looking up! Plants don’t let the winter months get them down, they grow and reach for the sun. Remember to do the same, and have a great month!